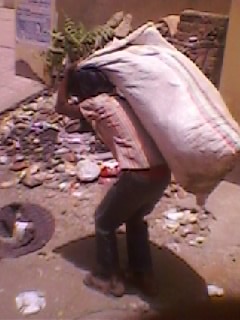 The Independent India: Future of Indina working as rack pickers. Future of Indina working as rack pickers. 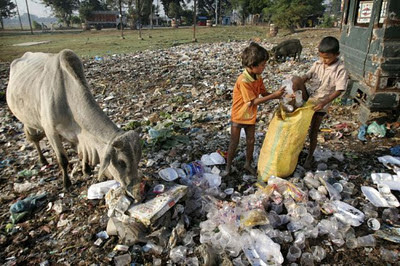 Children of a country are considered as the future of that country and what if in that country the children are only not given proper lifestyle. 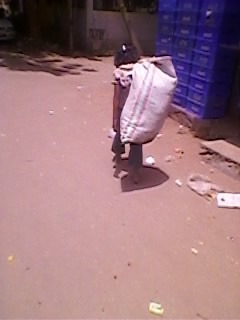 As you can see in the pics that this young child is not even having proper clothes to wear, they are not even getting proper food to eat and this pic had been taken from a place very near to a government school. Friends I even can't imagine that what is going to be the future of The Independent India. the country where the million Rupees are spent in conducting common wealth , making metro cities etc and on other hand no money is spent on the development of upcoming future. You people would not believe that in what sort of conditions these children and their families live they are spenting their whole day in picking up the waste material etc from the dirty roads so they can fill their stomach for a time the condition is really very very drastic these children are the helping hand of their parents as if they don't earn or don't pick the racks then it is impossible for their parents to fill their stomachs. Their are many politicians in our country who are saying all the time that they use to review regularly every street and every corner of their states for which they had been elected. now I want to knot that is this the review if the politicians review all the corners of states then why such sort of problems are faced by these innocent children then why is the future of these young children is being destroyed then why are they not given proper education then why are these children given proper food to eat and proper clothes to wear.